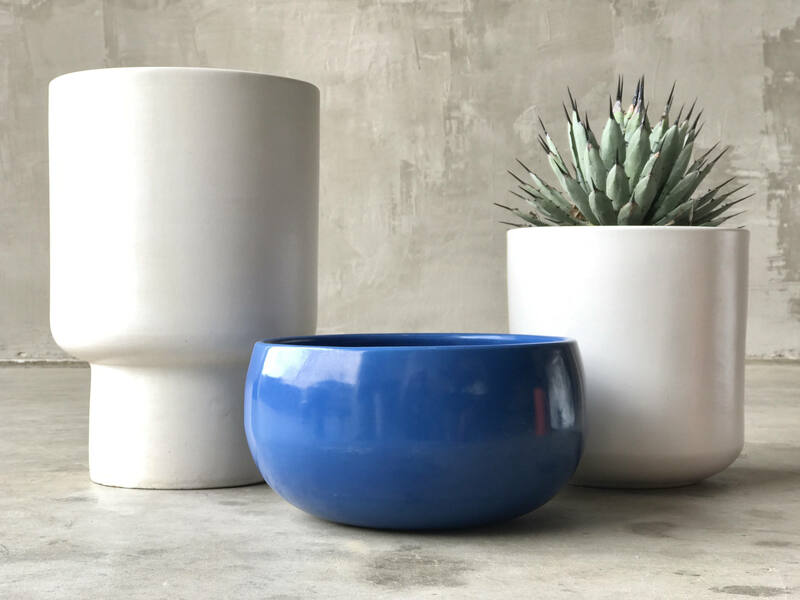 Designed by John Follis for Architectural Pottery, circa 1950s. 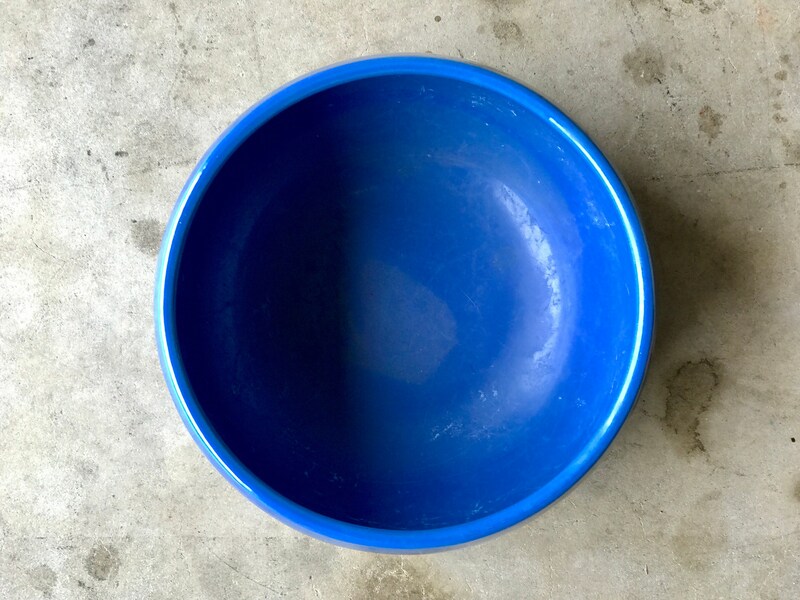 This bowl is in excellent original condition with no chips or cracks. 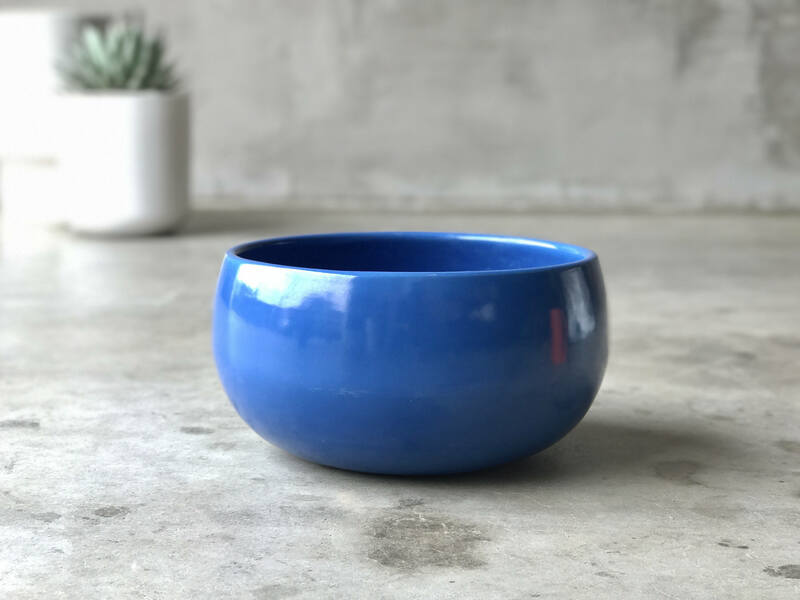 Very clean example in vibrant gloss blue glaze. Shipping is $50 within United States via FedEx ground.